The illustrated issue covers the representative functions, symbolism, ornamental “repertoire” of the art guns made in the Left-Bank Hetmanship in the last quarter of XVII – beginning of XVIII century. On the basis of the preserved artillery pieces of Ukrainian origin, the stylistic features of the gun tubes decoration in the times of “Mazepa baroque” were analyzed. For historians, art historians, armoury experts and all interested in the past of Ukraine. 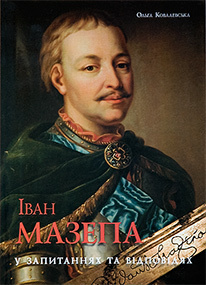 The reader will find in this book short but exhaustive answers to principal questions concerning the figure of Ivan Mazepa, the Ukrainian hetman in 1687-1709, he will learn about interesting historic facts, historical and cultural monuments connected to him, about literature, painting and music in which his image is reproduced. 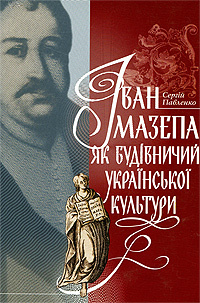 In order to understand the material better, the chronology of I. Mazepa life and activity is proposed, the lists of basic and additional reference literature are added which will permit to familiarize in more detail with this outstanding person in the Ukrainian history. 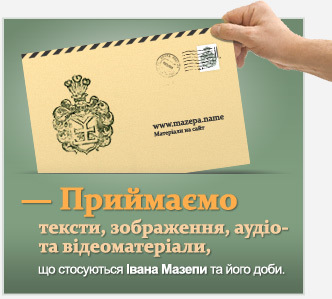 The edition is designed for school children, students, teachers and everyone who is interested in history of Ukraine.